Just a week after launching its new, e-paper colour display Pebble Time smartwatch that nearly brought Kickstarter to a halt as it became the fastest-selling campaign ever seen on the crowdfunding site, Pebble has announced a new product and support for a unique set of third-party accessories on its campaign page. 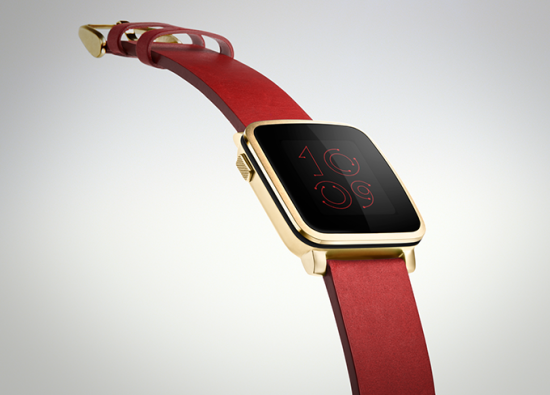 The Pebble Time Steel is being billed as the business version of the Pebble Time. Just as the Pebble Steel was a more professional-looking watch encased in stainless steel, but technically quite close to the original Pebble, this is a more premium version of the product only in design. The technical specs are the same, the screen size is the same, and it runs the same software. But instead of a plastic case, the case will be all metal. It will be available in gunmetal black, silver stainless, and gold colours. The package includes both a leather and stainless steel link strap. Aside from aesthetics, the Pebble Time Steel does promise three more days of battery life over the Pebble Time, at 10 days before you need a recharge. That explains the extra 1 mm of thickness. The watch face is made out of Gorilla Glass, the rugged glass used in many smartphones. Pebble is selling the new product for a pledge of $250 on Kickstarter, and the full price will be $299 when it hits the market. If you already bought the Pebble Time, you have the option to upgrade your package while keeping your place in line. But you’ll have to wait a bit longer, as the Steel version ships in July instead of May. Pebble also announced that it’s opening up its platform to hardware developers by supporting Smartstraps. The Pebble Time watch will support straps that contain additional electronics, which could be used to enable more capabilities such as GPS, heart rate monitors, NFC, or extra battery power. Pebble isn’t ready with any Smartstraps of its own just yet. But it is calling on a developer community to design some. 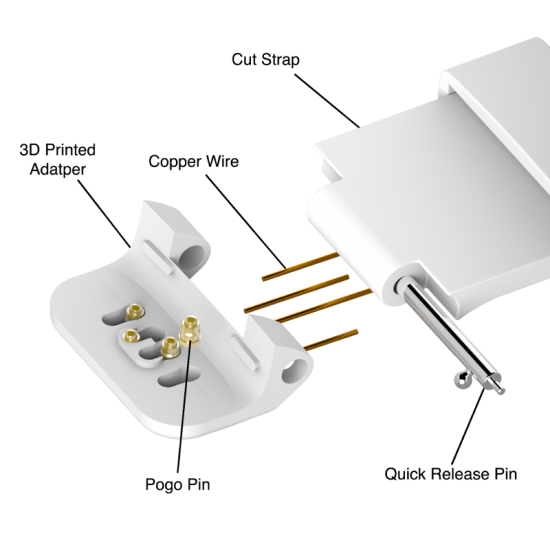 It has released 3D files of a generic connector that will allow straps to connect with the watch, so hardware developers can print them off with their 3D printers. The smartstraps will draw power from the watch, so using them will shorten the device’s overall battery life to some degree. Pebble hasn’t yet released an API for its Smartstraps, but promises to do so in the months following shipment of Pebble Time. It’s possible a Pebble user could have multiple wrist bands and swap them depending on how they’re using the watch. For example, you might put on one with GPS and a heart rate monitor to go on a run – so you can track your effort level and distance – and swap it out for a stainless steel one with extra battery life for your time at the office. Pebble has designed its strap connectors to be able to swap out in a few seconds, thanks to a handy latch mechanism.